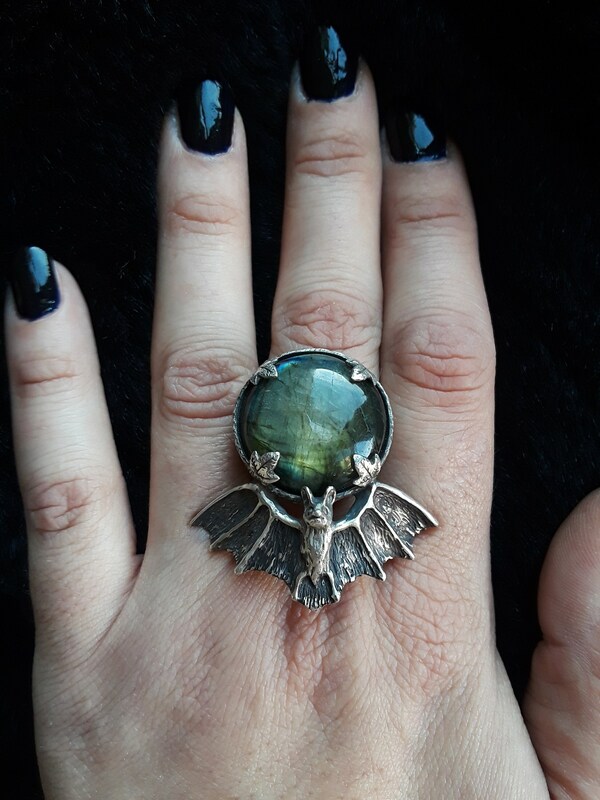 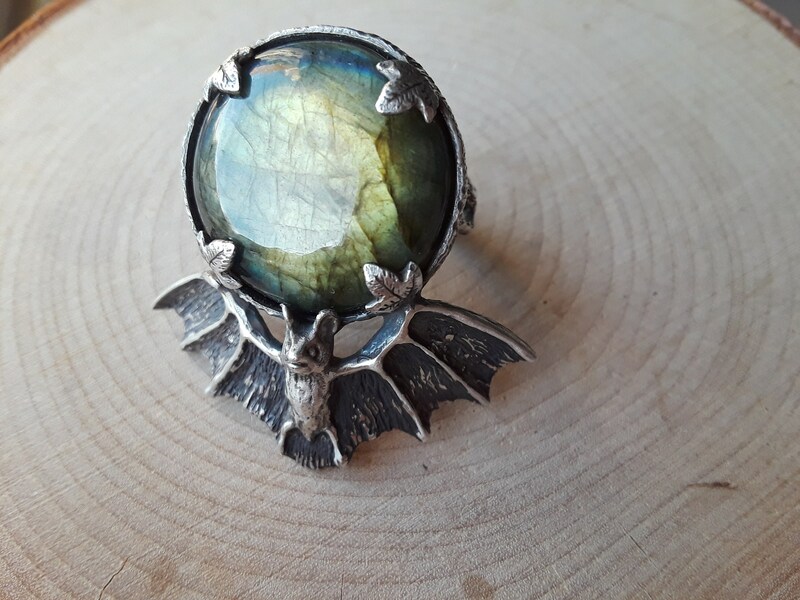 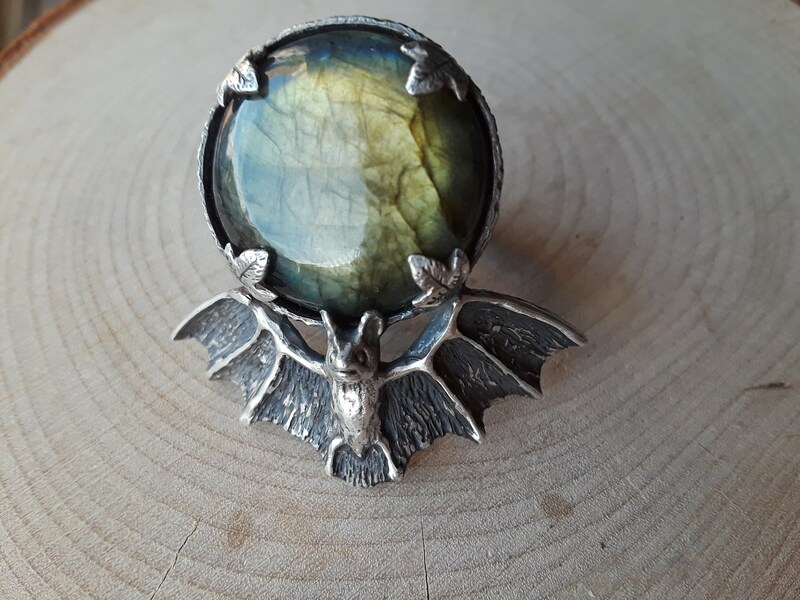 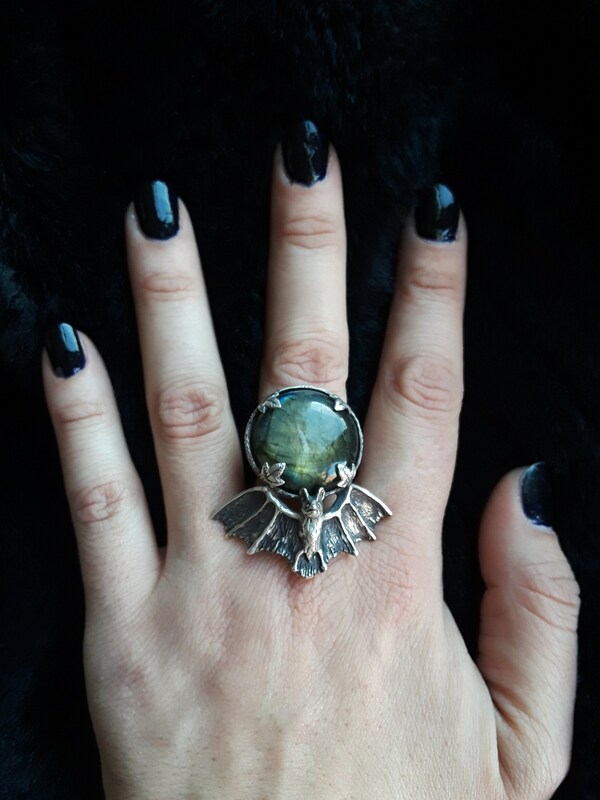 I am over the MOON for these one of a kind rings boasting soaring bats with moon-like labradorite in eerie haunted foresty green-gold! 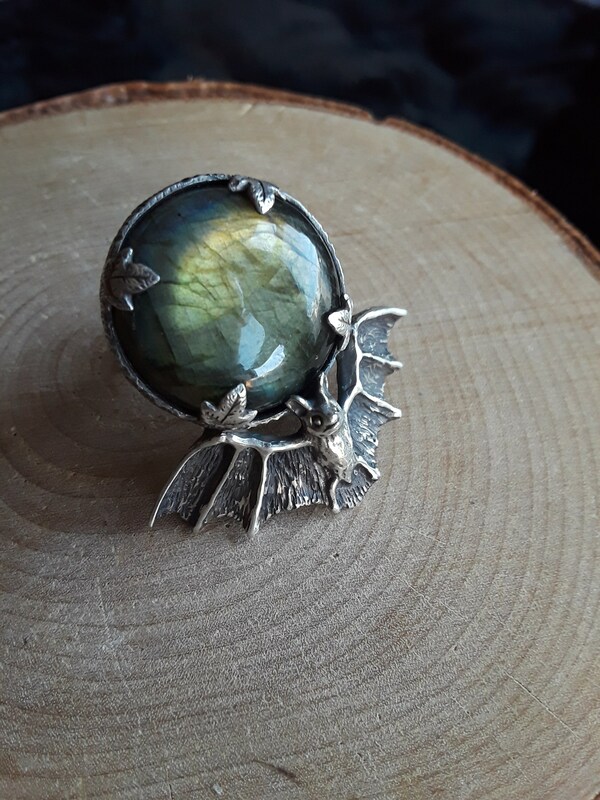 Only two made at the moment. 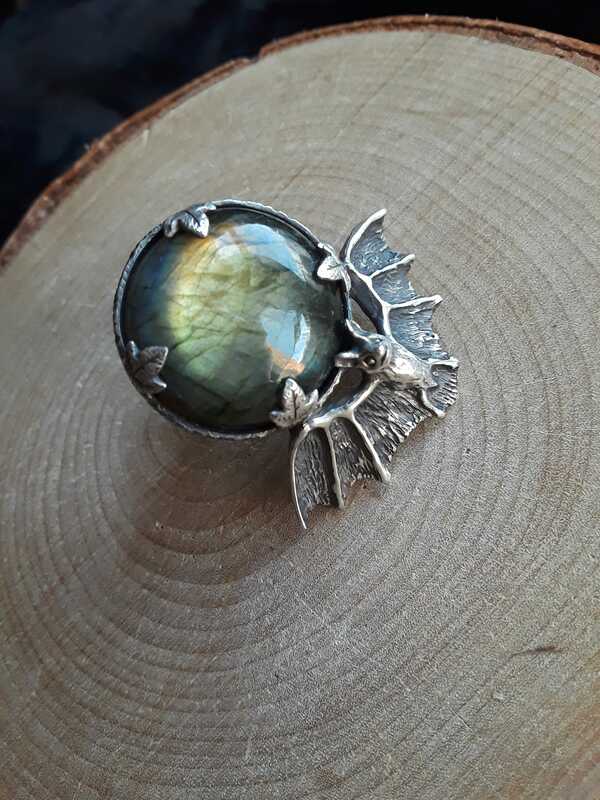 If you would like to order one in another size, please contact me and I can make this happen. 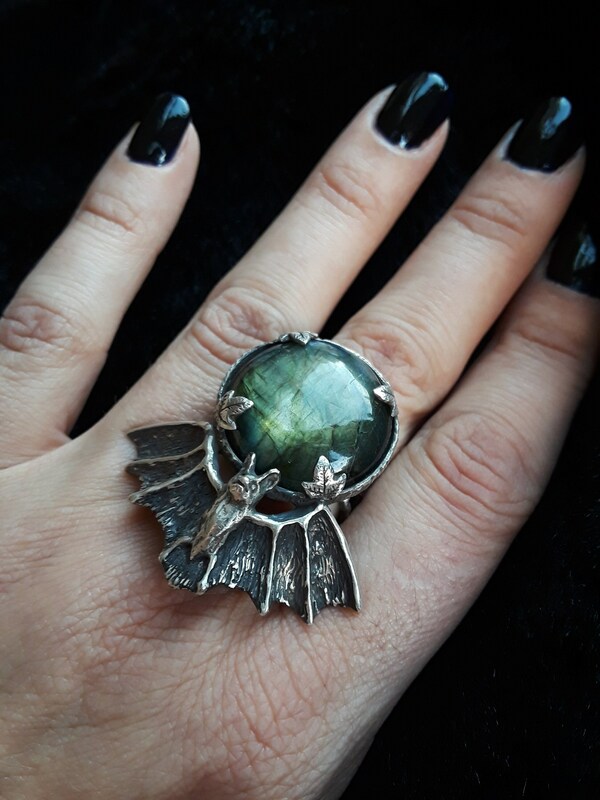 Dimensions: The head of the ring is approximately 1.6" long and 1.75” wide, and is U.S. size 7.5 - please make sure you are purchasing the correct size, as this is a final sale.